New with a sound decoder and steam exhaust synchronized with the wheels. 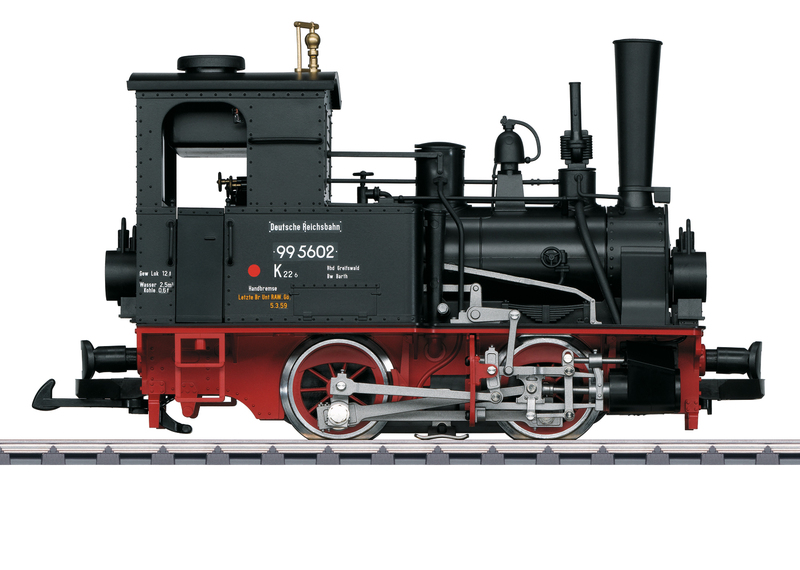 This is a model of the DR Lenz type i steam locomotive. The paint and lettering are prototypical for Era III. 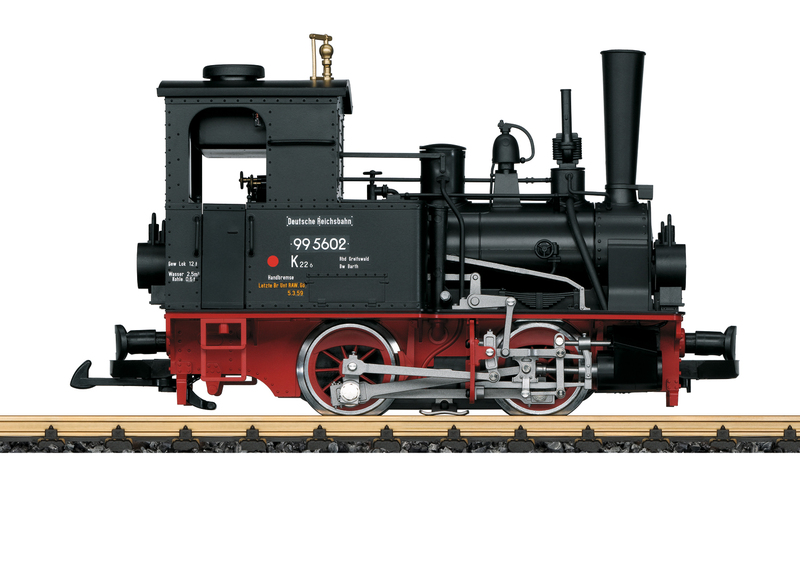 The locomotive is driven by a powerful ball bearing Bühler motor powering both wheel sets. Traction tires. It has an mfx/DCC decoder with many light and sound functions such as digitally controlled headlights, cab lighting, or steam exhaust synchronized with the wheels. There are many separately applied details, and the cab can be opened. The locomotive has sprung buffers. Length over the buffers 25 cm / 9-7/8".